I received the tie a couple days ago, and I love it. 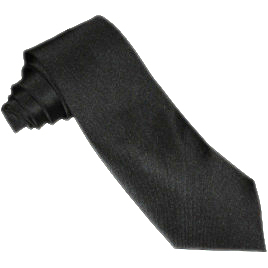 A sturdy black tie that's ready for any occasion and has quite the wide range of uses. It got shipped very quickly too, which I was a bit worried about after receiving an auto-email stating Indy was out of the office for a few days. Excellent product and service overall.